An Italian professional footballer for Juventus club and Italy national team is known for Leonardo Bonucci. Currently, he is playing for Juventus FC. He plays by wearing the shirt number of 19. He had played for Viterbese. His playing position is Centre-back and he is one of the brilliant player for this team. He started his career in the year 2005. 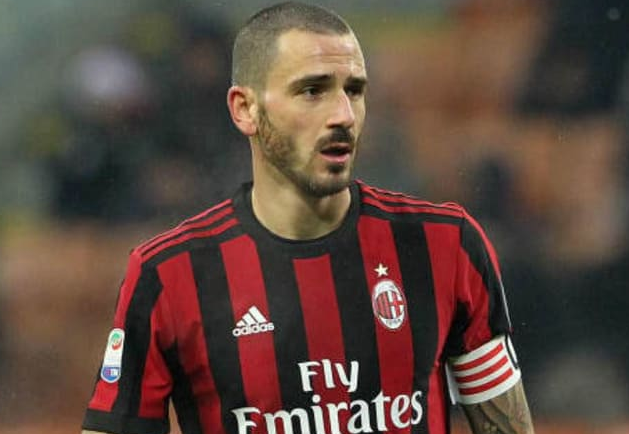 Leonardo Bonucci was born on 1st May 1987 in Viterbo, Italy. His nationality is Italian. He was born to Dorita Bonucci and Claudio Bonucci, his parents. His sun sign is Taurus. His height is 1.91 m and his balanced weight is 86 kg. Leonardo started his football career in the club, Viterbese and later loaned to the club, Internazionale in the year 2005. He then became a member of the Inter U20 team. He made his Serie A debut in the last match of the 2005-2006 season, against Cagliari. After his brilliant performance, Inter bought Bonucci on 7th July 2006. On 9th November 2006, he played his first Coppa Italia match against Messina. He remained at Inter until 30 June 2007. He also won the Campionato Nazionale Primavera (the national youth league title). Later on 1st July 2007, he shifted to Treviso and was loaned for 2008-2009 season. On 1st July, it was announce of his transfer for the club Genoa and later on 2nd July he was transferred to Bari from Genoa with fee of €1.75 million. On 1st July 2010, Bonucci was signed by Juventus on a four-year contract for a total of €15.5 million fee. He began the season by winning the 2012 Supercoppa Italiana with Juventus. He made his Champions League debut against Chelsea in the group stage and scored his first goal in the competition against Shaktar Donetsk on October 2012. In the 2014 to 2015 season, he made his 200th appearance with Juventus on 25 January 2015, in a 2-0 win over Chievo. On 2nd March 2016, he was captained for Juventus in the absence of Buffon. In the 2016-2017 season, Bonucci dedicated time to his ill son Matteo. He was named to the 2016 UEFA Team of the Year and was also named the 2016 Serie A Footballer of the Year on 5th January 2017. He scored the last goal of a 2–0 win in the final of the 2016–17 Coppa Italia over Lazio. He was then signed by Milan on a five-year contract for a €42 million fee on 14th July 2017. He was also named to the 2017 FIFA FIFPro World11. On 6th January 2018, he scored his first goal for Milan. 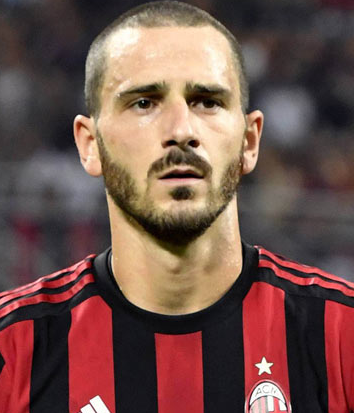 Bonucci returned to Juventus as part of a swap deal with Milan on 2nd August 2018 with a fee of €35 million for 5 years. He made his return for Juventus in their opening Serie A match on 18th August, a 3-2 away win over Chievo. Bonucci had represented himself in his national country, Italy in both senior as well as junior levels in many tournaments. He had played Under-21 Serie B, Italy U20, UEFA Euro 2012, 2013 FIFA Confederations Cup, 2014 FIFA World Cup, UEFA Euro 2016 and many more. Due to his performances during the 2009-10 season, he was included in the Italy squad for the 2010 FIFA World Cup. He scored his international first goal on 3 June 2010, in a 1-2 friendly loss against Mexico. he missed his spot-kick in the penalty shoot-out against Spain in the semi-finals in 2013 FIFA Confederations Cup. On 27th June he produced a Man of the Match performance in the round of 16. The net worth of this football player is estimated to have $22 Million and a salary of $4 Million as of 2018. Leonardo Bonucci is a married man. He married Martina Maccari in the year 2011. Still they are liveing a happy life. There is no any sign of separation between them. The couple is also blessed with 2 children named Lorenzo Bonucci and Matteo Bonucci.